President of the Republic of Azerbaijan Ilham Aliyev has received a delegation led by Japanese Minister of Foreign Affairs Taro Kono. 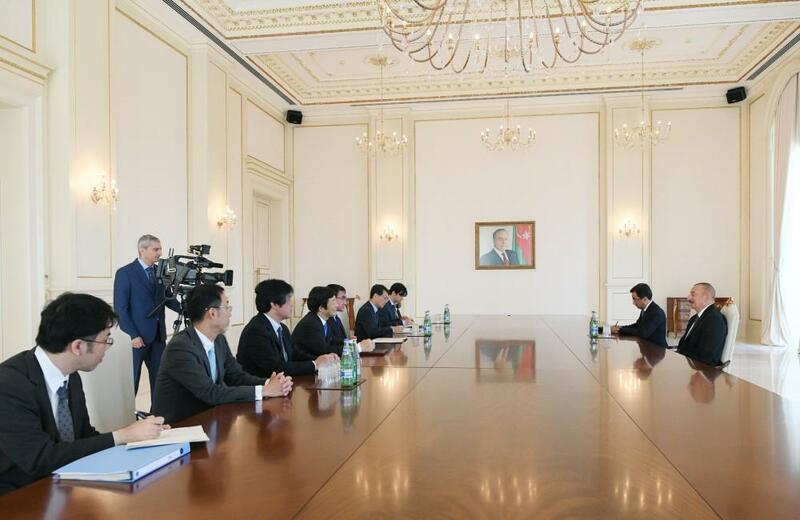 Saying he is glad to visit Azerbaijan, Taro Kono hailed a good level of relations between the two countries and expressed his hope that the bilateral ties will further develop. Taro Kono underlined that Japan's Itochu and INPEX companies have been shareholders in the Azeri-Chirag-Gunashli (ACG) and Baku-Tbilisi-Ceyhan (BTC) projects for many years, highlighting the importance of the extension of the contract on the ACG until 2050. The Japanese FM expressed confidence that this cooperation will continue to expand. The minister said that Japan is interested in opening direct flights between the two countries, and stressed that it is essential to the development of relations in the field of tourism. Hailing the development of bilateral relations between the two countries as very successful, President Ilham Aliyev emphasized that these relations cover political, economic and other areas. The head of state noted that the agenda of the bilateral cooperation is quite extensive, adding that a large number of Japanese companies successfully operate in Azerbaijan as contractors and investors. At the same time, President Ilham Aliyev underlined the significance of determining the ways of further enhancing cooperation between the business communities of Azerbaijan and Japan. Touching upon Azerbaijan`s tourism opportunities, President Ilham Aliyev said that the number of tourists visiting the country is growing every year. 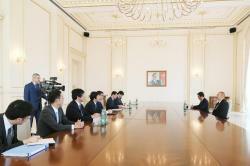 The head of state praised Azerbaijan`s high-level tourism infrastructure. President Ilham Aliyev expressed confidence that Japanese FM’s visit to Azerbaijan will contribute to the development of bilateral ties between the two countries. During the conversation, the sides highlighted the importance of experience exchange in the area of personnel training, and noted the significance of promoting and protecting investments in terms of the expansion of economic cooperation. The sides also emphasized great potential for enhancing economic relations between the two countries in various fields, including agriculture, tourism and others.